Completing a set of 25 images to act as my official watercolor portfolio last Fall was a big accomplishment for me, representing about a year and a half of work to become comfortable with the tools and process of creating watercolor illustrations. Following its completion, I wound up taking a break from watercoloring for a while, in part to work on actual art requests from a publishing house which I got after sending them my portfolio. It felt very satisfying to complete those art requests! 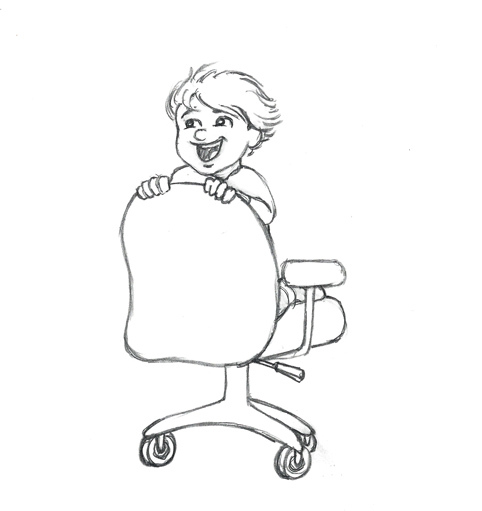 You’ll notice that I changed his expression a bit, changed his hair to look like it was blowing in the wind, drew his leg and foot in, and made sure that all the wheels of the chair were facing the same direction (if you look at my rough sketch, you’ll notice that all the wheels are facing different directions…I was clearly not paying attention). 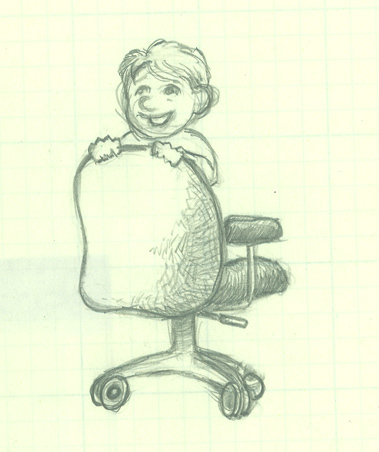 I’m not sure if I should have drawn in the little movement lines or not. I decided against them because I felt like the flowing hair was enough, but I’m still second guessing that decision. I’m still pleased with the result though. Thanks for reading! 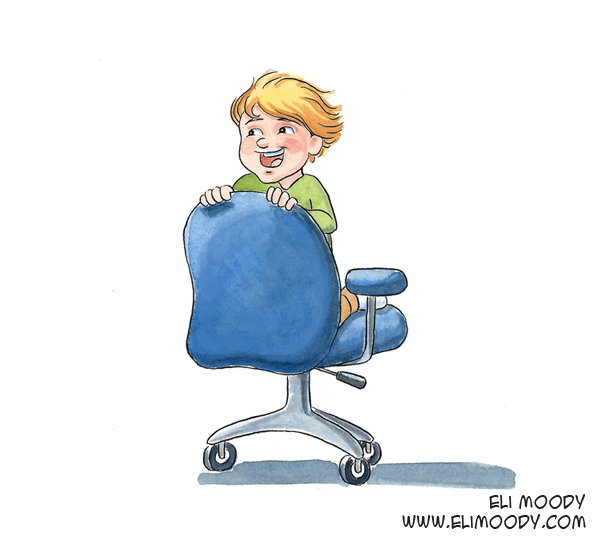 This entry was posted in illustration and tagged boy, chair, eli moody, humans, illustration, pen and ink, pencils, watercolor. Bookmark the permalink.